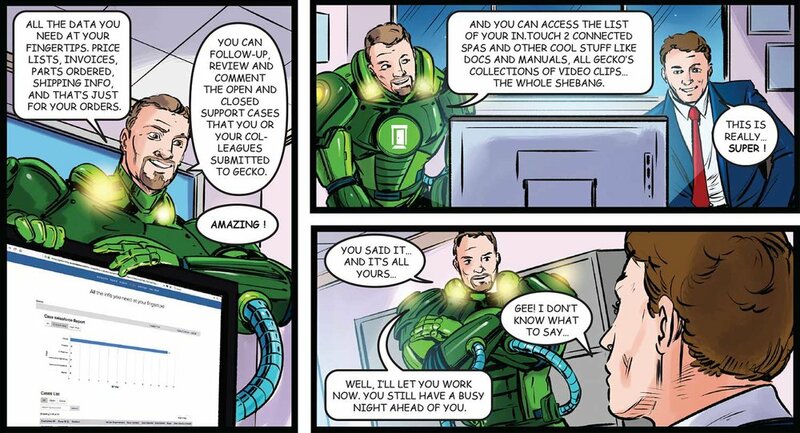 All the data you need at your fingertips! 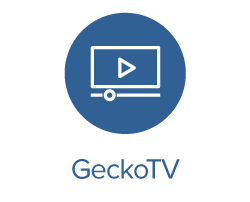 All your Gecko info at your fingertips on a new web portal designed for our OEM customers. Through its new web based customer portal, Gecko is offering you a private access to all your Gecko business info. Yes, everything... in real time lists, forms and graphs. All the data you need at your fingertips: price lists, invoices, parts ordered, shipping info. You can follow-up, review and comment the open and closed support cases that you or your colleagues submitted to Gecko. You can access charts of your in.touch 2 connected spas and other cool stuff like docs and manuals, all Gecko’s collections of video clips, as well as show and seminar schedules. View all the information relative to your orders, shipments, price lists, invoices. Review open cases, follow the progress and comment on it. Check on your connected spa by displaying your in.touch 2 status chart. Access and change your personal information related to your account. TechBooks, manuals, start-up and troubleshooting guides, QRCs and more. Video vignettes, promo clips, interviews and pro tips for spa professionals. Gecko’s upcoming North-American and European industry trade show schedule. Workshops on everything Gecko: systems, keypads, pumps and accessories.